Our homes are the single place we know we can always go to get away from the anxiety and hassle of our daily lives. They are where we have full control, so we surround ourselves with comfortable furniture, pillows and other decorations, in designs and styles that match our personalities and put us at ease. But someday, when you go to unwind in your favorite chair, you may notice it’s not quite as comfortable as it used to be. When that time comes, The Foam Factory will be there with the upholstery supplies, manufacturing capabilities and know-how to help make your décor and furnishings as comfortable as the day you bought them. Seating cushions and backs, recliners, throw pillows and body pillows are just a few comfort products with filler that can wear down, flatten or lose effectiveness over time. 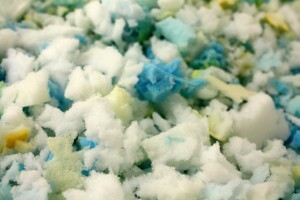 The Foam Factory offers a variety of materials that are perfect for filling any product in your home. Through a simple description or even a photograph, The Foam Factory can recommend and provide the right materials to re-fill your décor at home, without having to spend the time bringing it to an upholsterer or paying for labor. Or if you‘re more comfortable leaving it to the professionals, The Foam Factory provides full in-store product re-filling for removable cushions and other support products. The Foam Factory’s cushion and pillow filling materials can satisfy the comfort requirements of any individual, whether they need the softest cushion stuffing, the firmest support or anything in between. 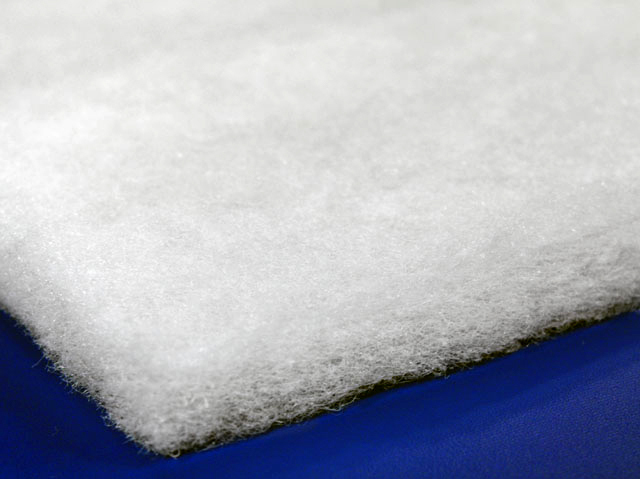 Polyester fiberfill, solid or shredded memory foam and conventional foam, round and oval bolsters and even certain closed-cell foams can all be used to create a brand-new cushion or comfort product. Couch throw pillows are one excellent application for home filling materials because of how tailored they are to your home. These pillows are designed to accent and highlight the other aspects of your living space so they are often highly personalized and user-specific. Because of the short production runs of specific patterns and colors it is very difficult to find the same products or even similar ones if a pillow’s filling loses resiliency. When this happens, we are usually faced with two decisions; deal with flattened, uncomfortable pillows or throw them away and spend time and money searching for a replacement that matches your home. With The Foam Factory filling products, you can quickly and economically re-fill your cushions, giving you the comfort of a supportive couch or chair and maintaining the aesthetics that match your home. Just as old throw pillows can be made new again, new pillows that look great but don’t feel great can also have their filling replaced. This means finding pillow forms or cushion seats with the right look needs to be your only concern, because The Foam Factory can quickly and affordably replace stock filler with a type of cushion filling that meets your desires exactly, giving you both the feel and appearance you want. Seat backs and arm rests are two other areas that wear down in furnishings over time, turning a once cozy couch or chair into a hard, rigid seat you avoid. The Foam Factory’s polyester fiberfill and soft, medium or firm conventional foams are perfect for furniture repair, with comfort styles that can fit any preference. Other foam-filled products, such as a body pillow or back support pillow provide comfort in large forms, but the hours of nightly use can quickly make them lose their shape, size and supportive qualities. Fiberfill or solid or shredded foam in conventional or memory foam varieties can re-fill these products to the fullness you desire or just add a little extra support to a new pillow that is a little softer than you would like. Also, The Foam Factory manufactures sheets of closed-cell polyethylene foam roll that can be tightly rolled and covered to provide an incredibly resilient, moisture-resistant, extra-firm body pillow in lengths up to 5 feet with unlimited thicknesses. The uses for filler materials around the house reach much further than just couches and seat cushions for chairs as well. You can help your furry best friend relax by re-filling their pet bed with supportive solid foam sheets or cushiony shredded foam in both conventional and memory foam varieties. For the crafty individual, creating custom gifts or one-of-a-kind interior decorating motifs has also never been easier, with a material selection that can be tailored to virtually any preference. In short, if you have something that needs to be more comfortable, The Foam Factory can make it happen. So when you notice the couch starting to become less supportive or confuse a throw pillow for a coffee table coaster, you don’t have to decide between comfort and aesthetics. Talk to The Foam Factory and they’ll help you find the materials you need to keep your home as comfortable and enjoyable as ever before. I am making my own mattress that will stay cool thru the night. I need the most open, breathable layer you can make, 2-3″ thick. Above it will be a gel grid which I will sleep on. The idea is to find a thick layer to put beneath the gel grid that I can blow cool air thru, preventing the gel (and me) from getting too warm. It should also prevent body heat from getting trapped & building up thru the night, should I decide not to blow air thru it. It needs to be firm enough to support me & the gel grid but still remain flexible, because I use an adjustable mattress base. We would suggest our latex foam topper for your application.